...and what the Nehru family’s commitment to the freedom movement had to do with it. The Instagram account of Border & Fall carried a picture of Frida Kahlo in a sari flanked by two women. There was no comment there. The general reaction was: wow! One of the women seemed familiar to me. She is to Frida Kahlo’s left. It looked like a young Nayantara Sahgal, the writer who now lives in Dehradun. 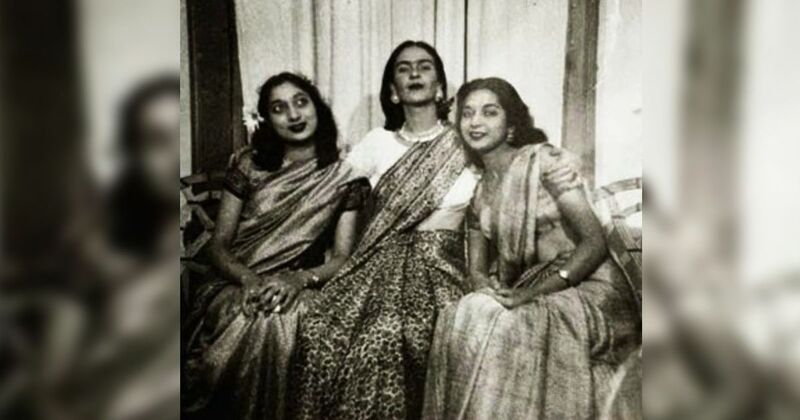 The other woman, on Kahlo’s right, looked like Nayantara’s sister Rita Dar. 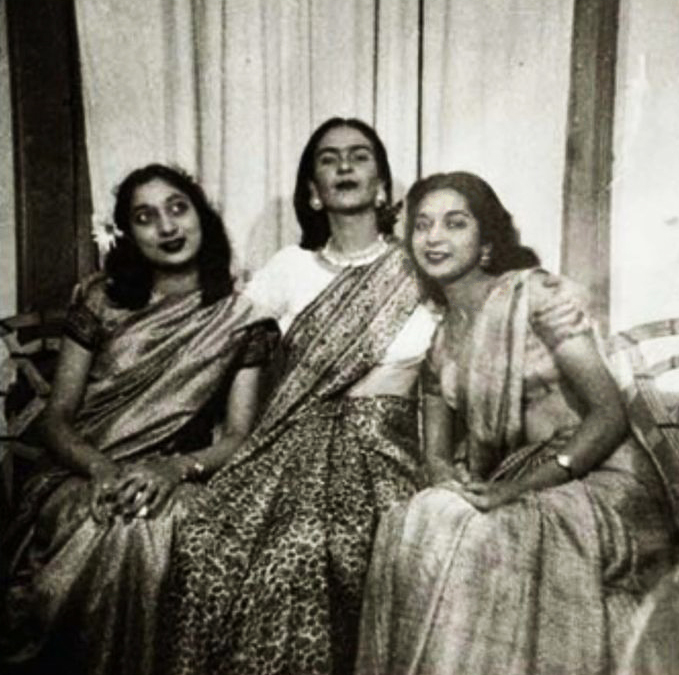 Nayantara Sahgal and Rita Dar are the younger daughters of Vijayalakshmi Pandit, India’s first ambassador to the USSR, the US and Mexico and then the United Nations (she was the sister of Jawaharlal Nehru). Manu Bhagavan’s India the Quest for One World (Palgrave, 2013) contains a nice introduction to Vijayalakshmi Pandit. 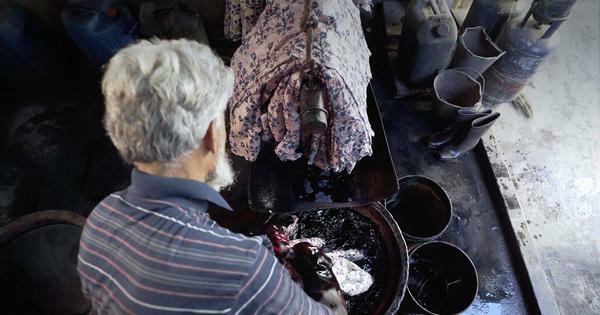 In the early 1940s, Sahgal’s entire family had been convulsed by the Indian freedom movement. Her parents were in prison. Even her elder sister Chandralekha was in prison during the Quit India agitation in 1942. The British imperialist government told the Nehru-Pandit family that none of the children would be allowed to go to university unless they promised not to take part in politics. This was out of the question. At that time, the Chinese leader Chiang Kai-shek and his wife Soong Mei-ling came to India with the express purpose of asking the British government to allow the creation of an Indian national government. It would help the war effort, they argued. Madame Chiang, as Soong Mei-ling was known, had studied at Wellesley College. Madame Chiang contacted the authorities at Wellesley who accepted the sisters. The artist Frida Kahlo, by 1947, was living in La Casa Azul, her childhood home. She suffered terribly from spinal problems, and usually wore corsets to help stabilize her back. Six years later, Frida Kahlo would die at the age of 47. 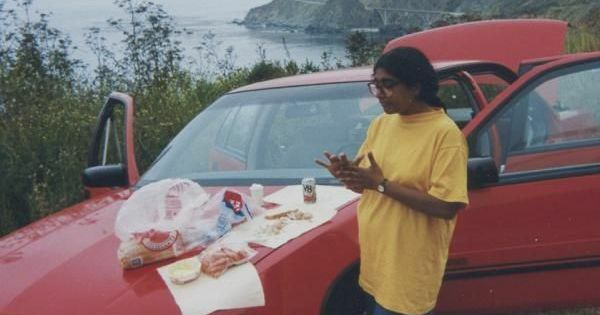 This article first appeared on The Official Vijay Prashad site.